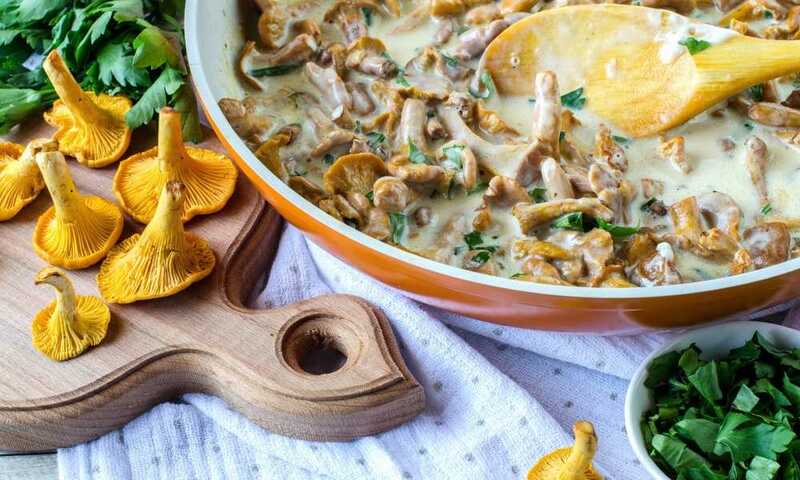 Whether you’re cooking for yourself or an entire dinner party, you’ll need cookware that you can consistently rely on to deliver fantastically delectable results every single time. Not only is it important to find frying pans that are functional but also ones that suit your style. Breaking away from the standard stainless steel, copper frying pans add a rustic look to your kitchen, helping you feel great while cooking. They can be sold per piece or as a set. 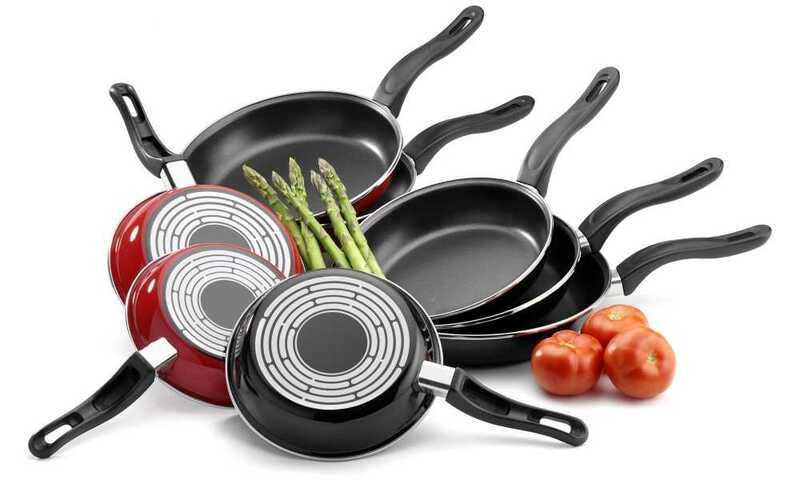 Opting for a set offers a pan for every occasion whether you need that little extra cooking space or your other frying pans are still in the dishwasher. Hence, if you want one, we will look at the benefits offered by the Amsha Copper Frying Pan Set. 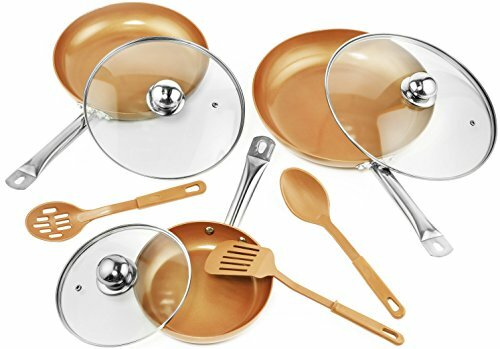 We’ll also provide a concise overview of its features in order to help you determine whether this is the right frying pan set for you or not. The Amsha copper frying pan set is perfect for those who are looking to do more home cooking and want quality cookware that isn’t going to break or warp over time as well as being a little friendlier to the pocket. This variety of pans meet a variety of needs, whether you need to cook numerous items on the hob at once or you simply need to cook a good old breakfast. These are especially appealing to buyers who aren’t just looking for something practical but also something a little more stylish that lets them show some personality in their kitchen. The pans and utensils that are included in the Amsha Kitchen Copper Frying Pan Set are dishwasher safe, making your post-cooking experience more pleasant as they don’t require as much effort to clean. The pans and their corresponding lids are durable and oven safe up to 500ºF, making them an even more versatile cooking instrument. All the pans are 100% toxic and chemical-free, allowing for a healthier lifestyle as well as an eco-friendly approach to your cooking. Being of copper construction, these pans reach optimal temperature very quickly, so you would spend less time waiting and more time cooking. That is because copper is one of the best heat-conducting metals available. Additionally, the superior ceramic nonstick coating allows for both less oil to be used during cooking and easier cleaning after use. The soft silicone one-piece designed utensils included will prevent any scratches on the bottom of your pan and are extremely straightforward to clean as well. The silicone construction also prevents the utensils from melting or breaking, allowing them to be used in a variety of cooking applications. When it comes to using the frying pans, the only real limitations are those you set yourself. 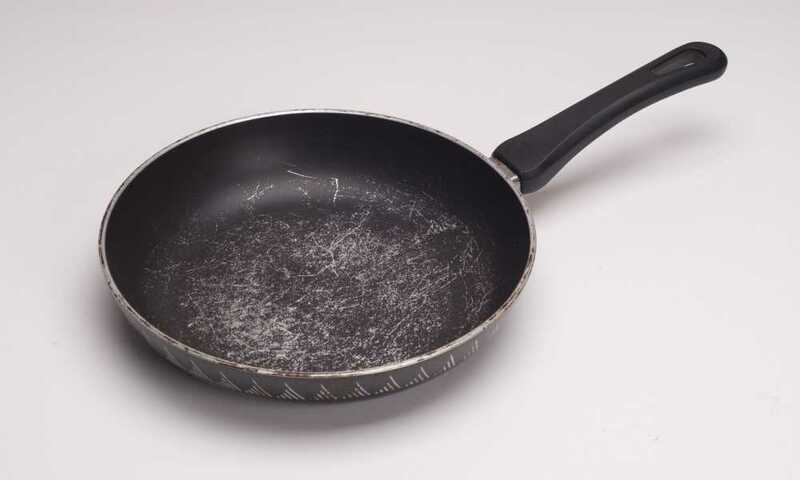 In using these frying pans for the first time, it is important to realize that you don’t need to use anywhere near as much cooking oil as you may have done for nonstick pans; this is thanks to its ceramic coating. Once your pan is ready to go, simply turn on the heat and watch your pans heat up in no time. 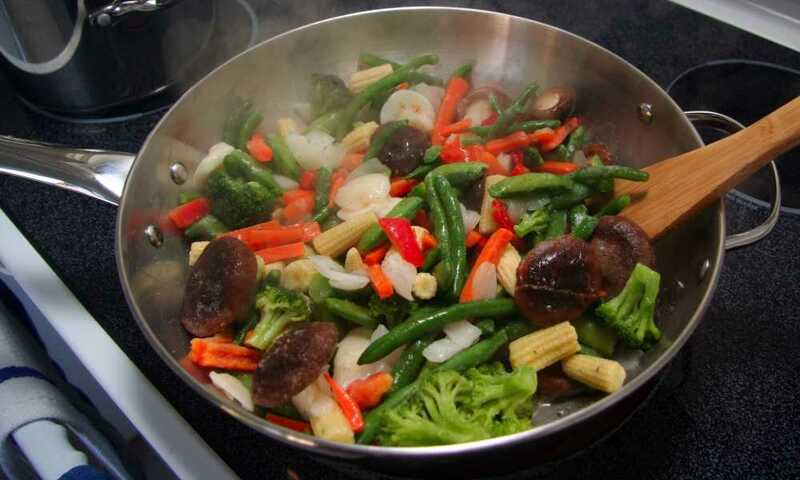 Once the pan is heated, you can add some oil and start cooking whatever you want. If you need to finish cooking the food in the oven, just place the pan with its handle and/or lid in it. 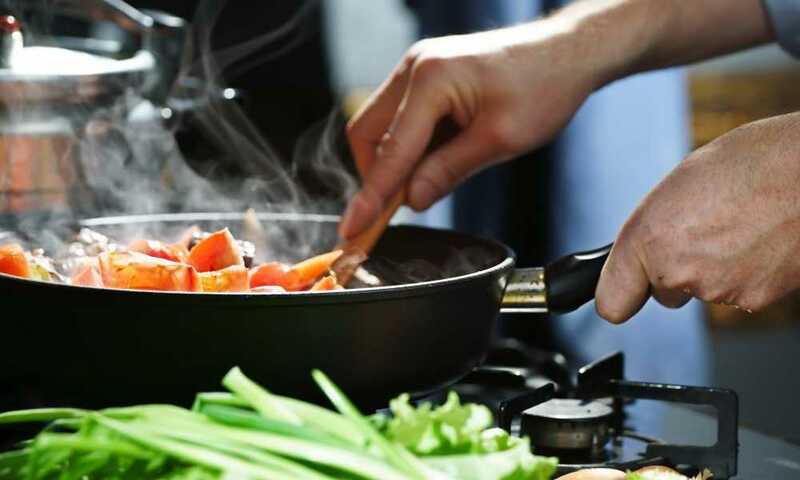 When the food is cooked, you’ll notice how easily you can lift the food without or less content of the food sticking on the pan. Once you’re done, allow the pan to cool down and then you can wipe the remaining oil, wash it with clean water, and then put it in the dishwasher. The Amsha Kitchen Copper Frying Pan Set is not only practical cookware but also look great in your home. However, if you’re looking to reduce your carbon footprint and become a tad more environmentally conscious, then you should consider the Green Earth Frying Pan Set. 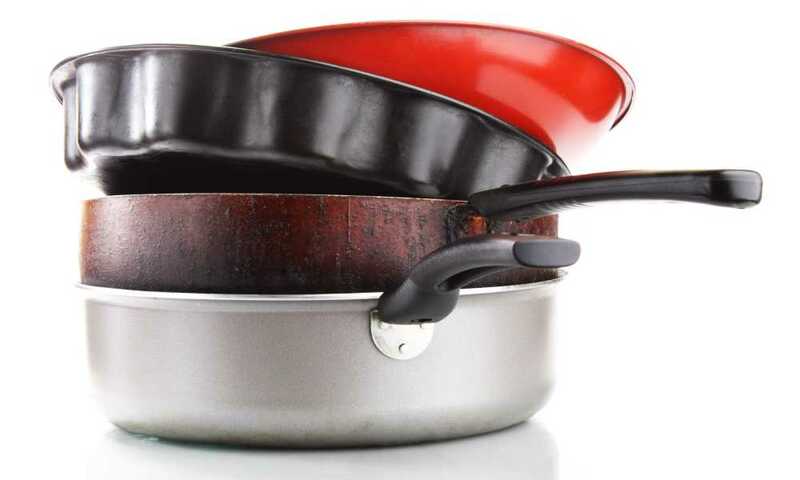 Made from GREBLON ceramic, these pans are 100% PTFE, PFOA, and APEO-free (zero heat metals or chemicals). 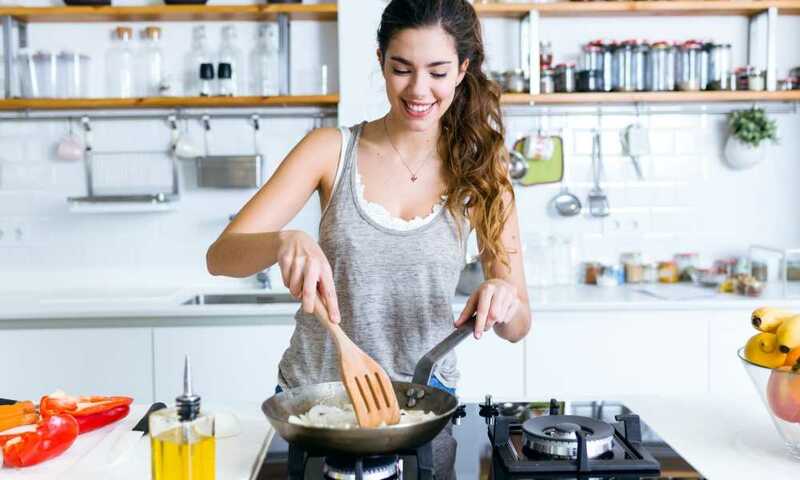 They also utilize an extremely unique cooking surface with their honeycomb textured pan base, which helps provide far superior heat distribution and nonstick capabilities. 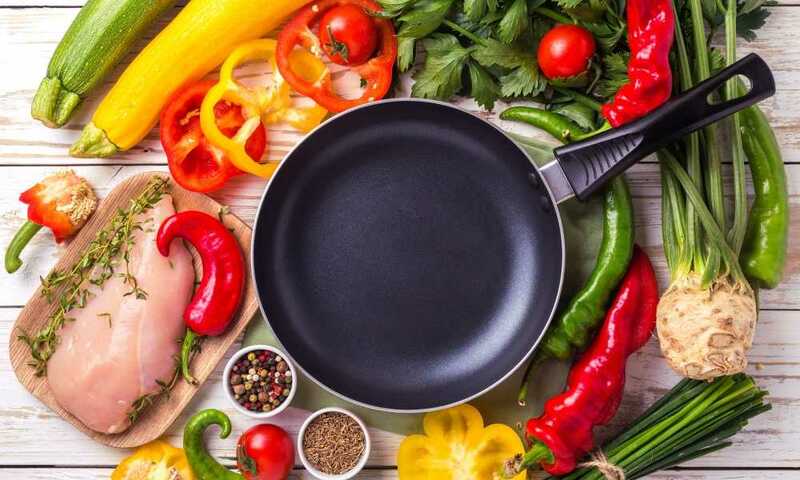 If you favor a frying pan that feels like it could last a lifetime, cast-iron frying pans are extremely functional as well as affordable. 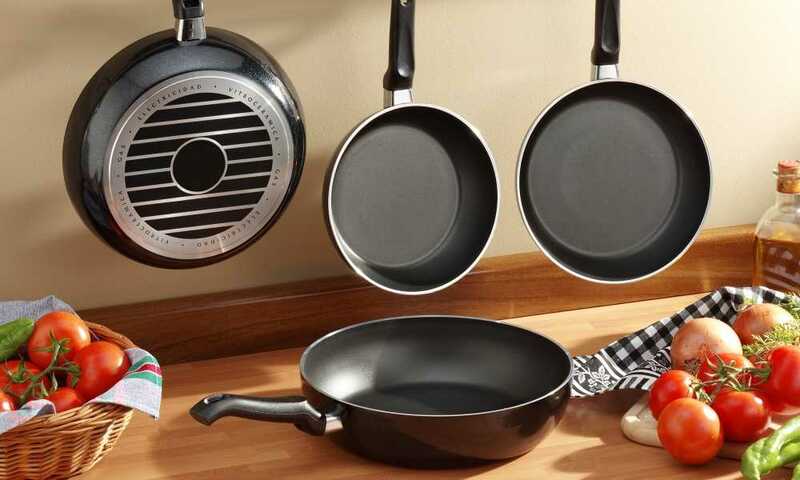 The Simple Chef Cast Iron Three-Piece Set comes with a six, eight, and 10-inch pans that are perfect for frying, oven cooking, grilling, and cooking over open flame. The Amsha Kitchen Copper Frying Pan Set is a good choice for home kitchens and small cafes as it offers everything you need to get started cooking your specialties. These pans have added functionality of being able to sustain high oven temperatures, and their nonstick surface makes them extremely pragmatic in the kitchen. Thank you! We will try our best to help you.